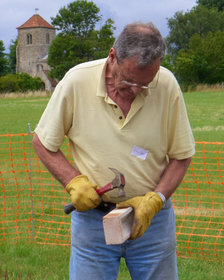 In July, Jigsaw Cambs. 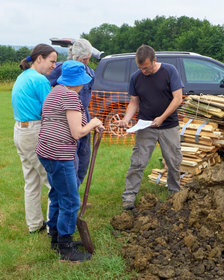 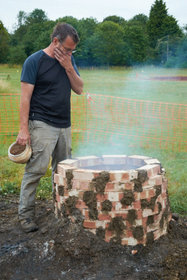 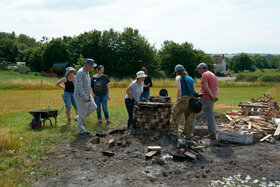 ran an experimental archaeology training course during which participants would build and fire a replica Roman kiln in Manor Field, Covington. 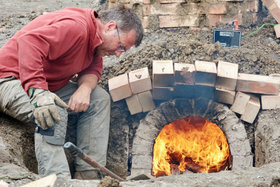 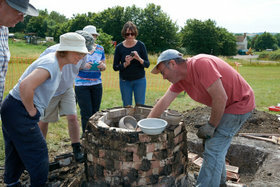 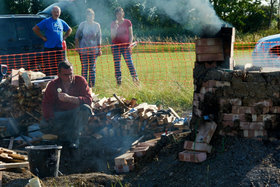 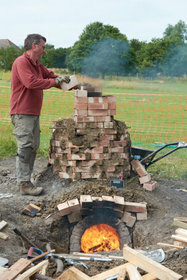 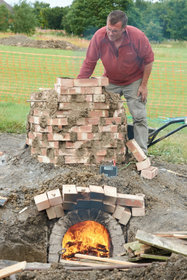 The activity was led by Jon Cane who has built two other kilns, the last one being at Fane Road, Peterborough. 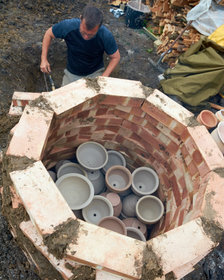 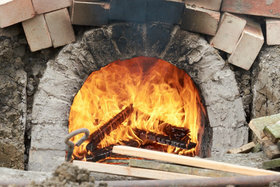 The kiln took one day to build, one day to fire and a further day to cool, empty and remove. 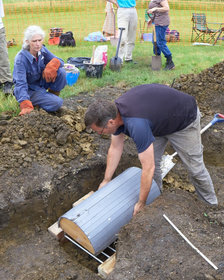 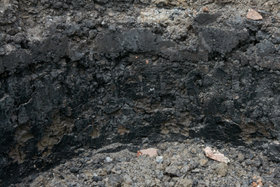 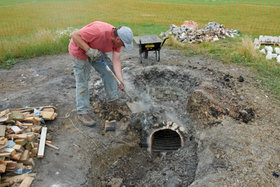 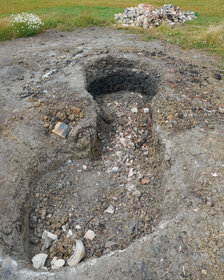 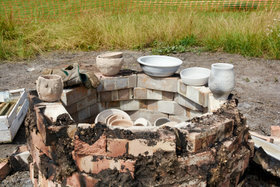 Jigsaw members who had made or decorated pots in earlier courses on Medieval and Roman pottery were given the opportunity to have their work fired in this kiln. 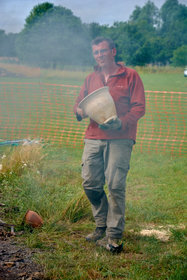 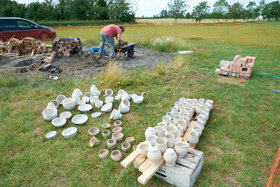 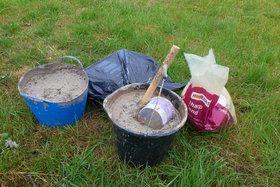 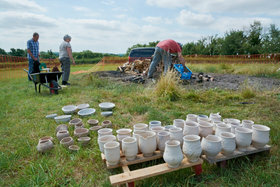 Pots made by Jon that were also fired in the kiln were offered for sale at the Training Dig Open Day. 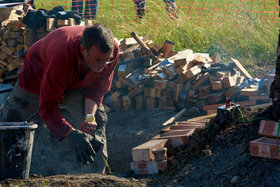 Enjoy the selection of photos below (kindly taken by John Turrell) recording every stage of the process. 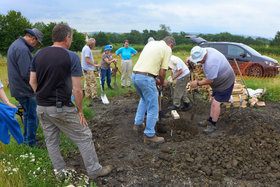 ... and a band of willing volunteers. 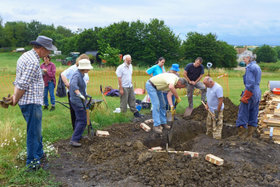 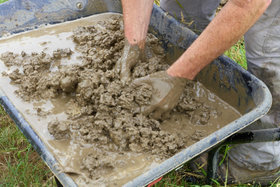 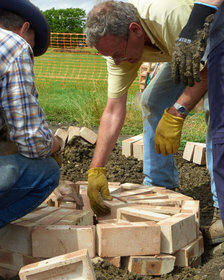 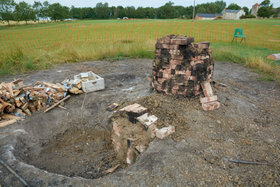 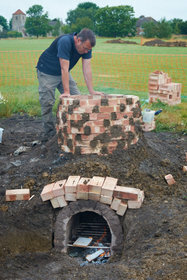 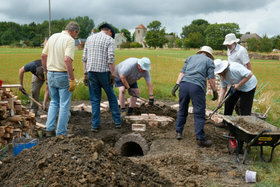 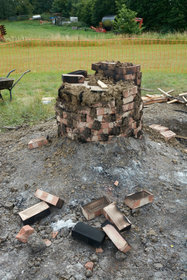 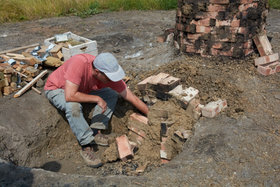 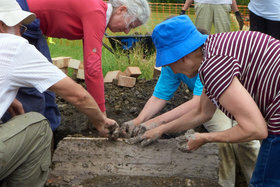 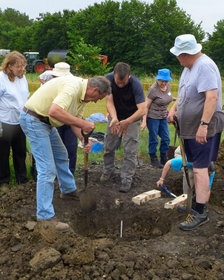 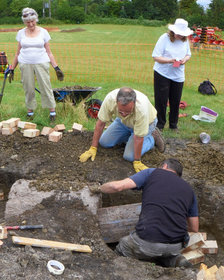 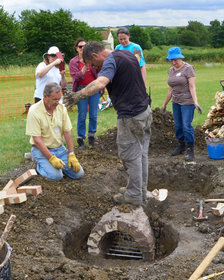 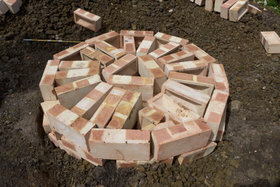 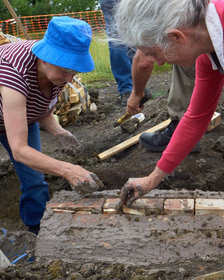 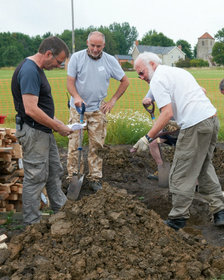 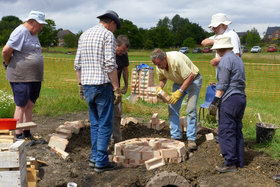 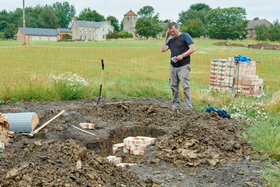 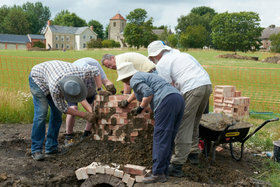 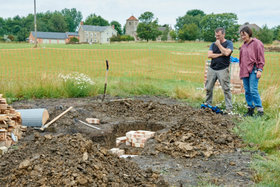 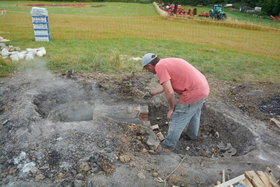 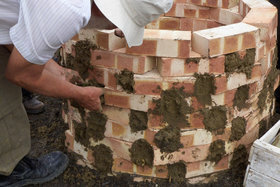 The kiln was dug out and the first course of bricks laid. 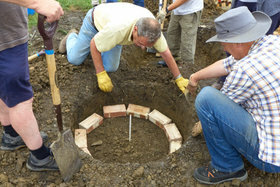 The stokehole was built and tested. 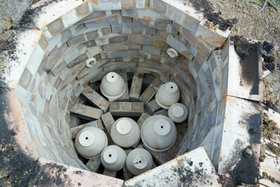 The rest of the kiln was built. 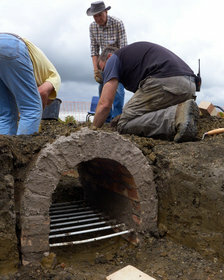 All possible air vents were filled in. 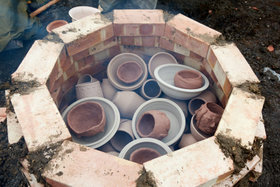 The kiln was filled with pots Jon had made and also pots decorated by participants in the Roman pottery course and made by participants in the Medieval pottery course. 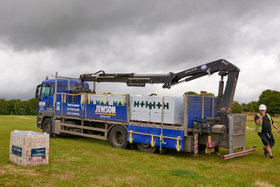 ... and icecreams were called for! 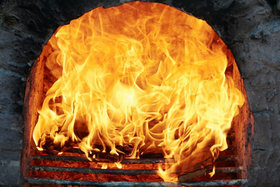 The flames roared and the chimney chuffed as the temperature within climbed to 900 degrees (and beyond). 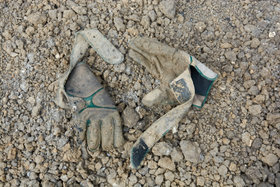 Late in the evening, it was all over. 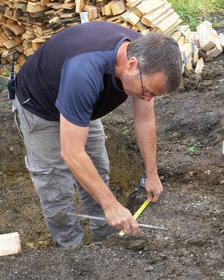 Next day: The moment of truth. 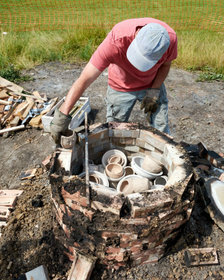 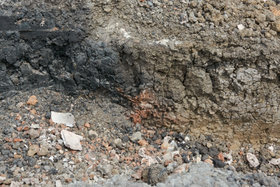 Sadly, the kiln had to be demolished. 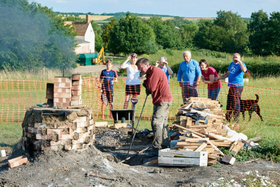 An unforgettable experience for those who took part. 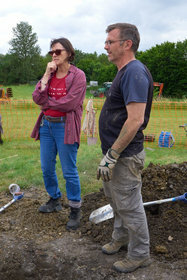 The photographs on this site are © John Turrell, Marilyn Turrell, Simon Luscombe, Lynne Koch, Simon and Mary-Ann Parsons. 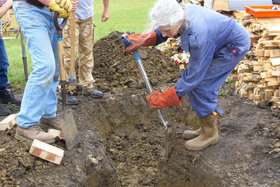 All other content of this web site that has no specific attribution is © 1994-2019 Covington Parish Meeting. 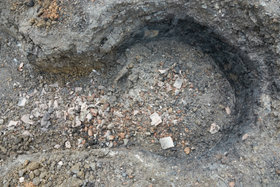 Reproduction of any part of this web site in any form without written consent is forbidden.